The German Bowl XL, the final of the 40th German Championship in American Football on October 13th in Berlin's Friedrich-Ludwig-Jahn-Sportpark, will be broadcast live and exclusively on Free-TV on SPORT1. Germany's leading 360 ° sports platform and the German Football League (GFL) have agreed to this before the 40th season of the German Bundesliga in American football, which begins in April. 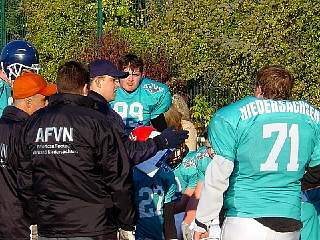 Defending champion Schwäbisch Hall Unicorns and his predecessor as champions from Braunschweig, the New Yorker Lions, are once again two of the favorites for the GFL season and participation in the finals in an expected exciting season but they have to count this time with fiercer opposition of competitors from Frankfurt, Kiel, Dresden and other GFL locations. The agreement on the broadcast of the German Bowl is part of a planned extensive future cooperation between SPORT1 and the GFL. Carsten Dalkowski, spokesman for the association of 16 GFL clubs, is looking forward to the cooperation: "In recent years, we have continued to expand the exceptional position of our league in European football. The squads of the teams fill currently this year more and more with the top football players from all over Europe, in addition more and more top players come from our own grass roots work. And that gets around up to the US - for many who have barely received any professional contract there, the GFL is the first address. The fact that we now have the opportunity to present this level in the program at SPORT1 makes things round. " 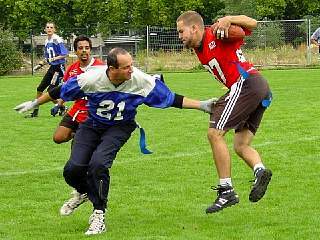 SPORT1 has been broadcasting American football on its platforms for years - for example, at the 2017 World Games. The pay-TV channel SPORT1 US has been broadcasting live football since the program was launched in 2013 - currently, in particular, NCAA College Football. Last year, SPORT1 also presented the live premiere of College Football from the USA on German Free-TV and regularly staged the world's biggest football talents with a fixed slot on Saturday night. Especially with his dedicated and professional support of the US college football, the sports channel has thrilled the German football fans. Daniel von Busse, COO TV and Member of the Board of SPORT1: "American Football is a highly attractive program color for SPORT1. 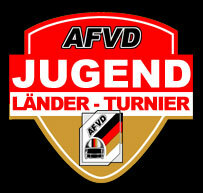 We believe in the audience potential in Germany - the sport is particularly well received by the young target group. We have already worked closely together with the GFL at the 2017 World Games. The final Germany against France watched in the top 200,000 spectators. With the German Bowl we are now presenting the showdown of the German Football Season 2018 - and our viewers can look forward to further highlights within the framework of our planned partnership with the GFL. " For Robert Huber, President of the American Football Association Germany (AFVD), the cooperation with SPORT1 is an important part of the planning for the future. "Our clubs have a total of 63,000 members, for years we are growing more dynamic than almost all other sports associations in Germany. We can inspire more and more young people for our sport, and we want to intensify this even further. Increased TV presence will help us immensely. " The German Football League (GFL) - the German Bundesliga in American Football - is the most traditional league in American football in Europe. Founded by six teams in 1979, it comprises 16 teams, eight GFL North and GFL South each. 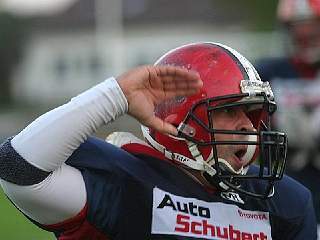 The four best placed teams of each division play the playoffs for the entry into the German Bowl. The German Bowl is regularly the best-attended European football game. So far, eleven different teams have conquered German championships. The New Yorker Lions from Braunschweig won the record number of eleven titles, 25 of the 39 German Bowls so far have been decided with seven or fewer points, which means in American football that they were exciting to the very last play. The GFL is at the top of a unique league system in Europe, which is ramified into all rural areas of Germany. All in all, Germany's football clubs, with 63,000 individual members, account for half of all footballers in Europe, won the most titles in Europe's top club competition Eurobowl, are the reigning European champions with the national team, and have a worldwide recognized youth footballer education system, the only one in Europe from which several current and former NFL professionals have been recruited. Dozens of German footballers are active in the teams of US universities. Right in the middle of it with SPORT1: the leading 360 ° sports platform in the German-speaking area offers high-quality live sports, proven sports competence and funded entertaining coverage on its TV, online, mobile, radio and social media channels. The portfolio of the sports media company based in Ismaning near Munich also includes the pay-TV channel SPORT1 US, which is offered in Germany, Austria and Switzerland on various platforms in SD and HD in addition to the free-TV channel SPORT1. 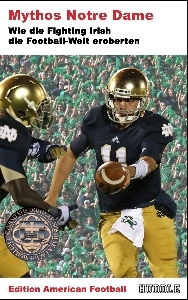 In addition to high-class US sports including the NBA, NHL and MLB, SPORT1 US also has NCAA College Football in its program. In the past season, SPORT1 also presented for the first time live broadcasts of NCAA Football in free-TV - including the live premiere of US College Football US Free TV on September 2, 2017. SPORT1 also cover American Football extensively on its digital platforms - among others on the US sports channel on SPORT1.de or on his social media channels.